Green Keratin produce small batches of organic skincare products. Every aspect of their production, from research to packaging, is done in-house with sustainability at its heart. 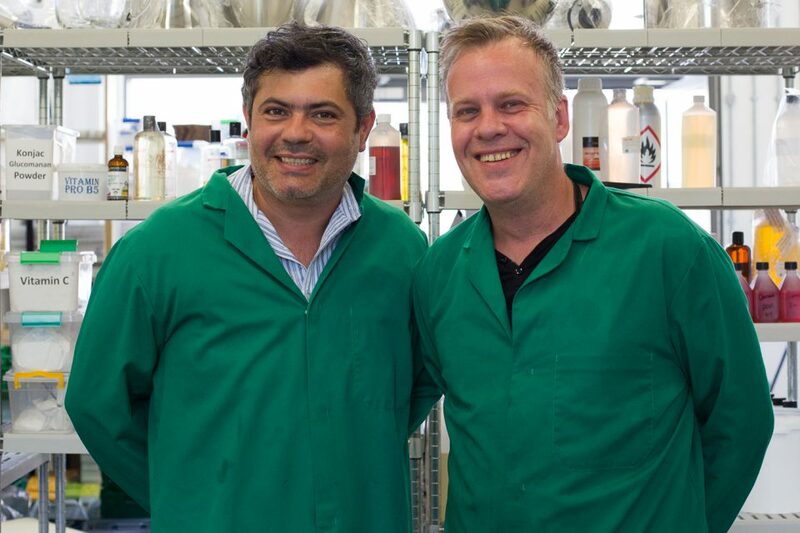 We spoke to co-owners, Glen and Anderson, about life at Filwood Green Business Park. Hi guys, why did you choose Filwood for your business? We chose to move to Bristol because we wanted a different pace of life and were looking to expand. We take an ethical approach in every aspect of our business and felt Filwood shares a similar ethos, so it was a natural fit. We wanted to grow within a community of like-minded businesses, and the community aspect is one of the best things about being here. Filwood really help you settle in. There’s excellent small business support and the newsletters keep you up-to-date with everything. Has the space helped you work? The design of the place in regards to functioning as a business – the electricity, lighting and space – suited us from the beginning. The contract was also very good in regards to price and flexibility. We made our decision on the basis of feeling. We saw this place and we knew we wanted to grow our business here. The warehouse and its setup has made us more efficient, it’s easier for us to practice being more green such as recycling our waste. We have the factory downstairs and the admin space up top, so everything seems to be running smoothly. There is a communal area in the reception where people meet on Thursday mornings for tea and coffee. There we have met, and are now currently doing business with, our accountants, solicitors and recycling suppliers. The communal areas are a great way to meet people and network. We are able to share contacts with them which is so important for growth and it’s an amazing atmosphere to be a part of.